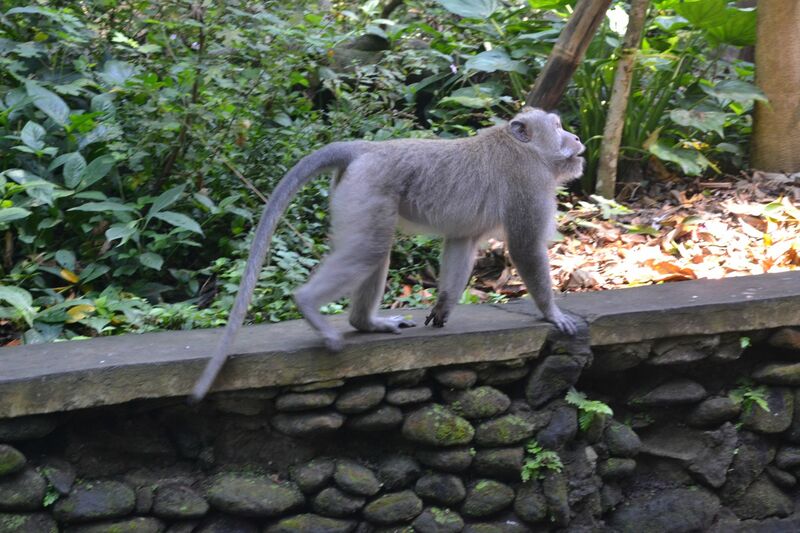 Indonesian Travel Diaries – Monkeys! It’s a magical jungle, mish-mashed with hidden hotels, and windy streets covered in markets, with dogs running around and the occasional moped whizzing by. 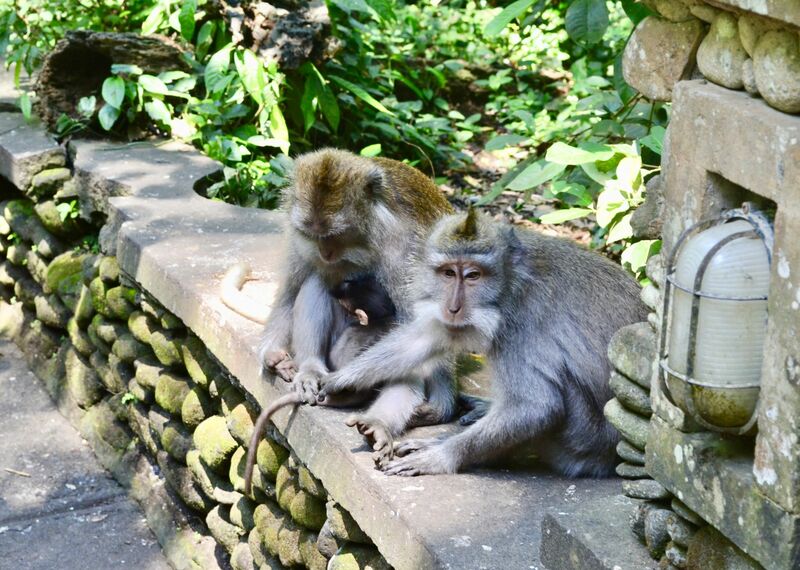 You’ll hear people talking about the Sacred Monkey Forest in Ubud. I hate zoos, and aquariums, because seeing animals caged up just breaks my heart – and, at first I was a bit hesitant about the Monkey Forest. A lot of places claim to be ‘animal rehabilitation’.in Bali (please don’t ever go and see the big cats or elephants which are promoted as being under the guise of rehabilitation – they are cruelly sedated and treated appallingly when not on show), but, we did some deep dive research and sure enough, Monkey Forest was an open forest where the monkeys were free to come and go as they please. 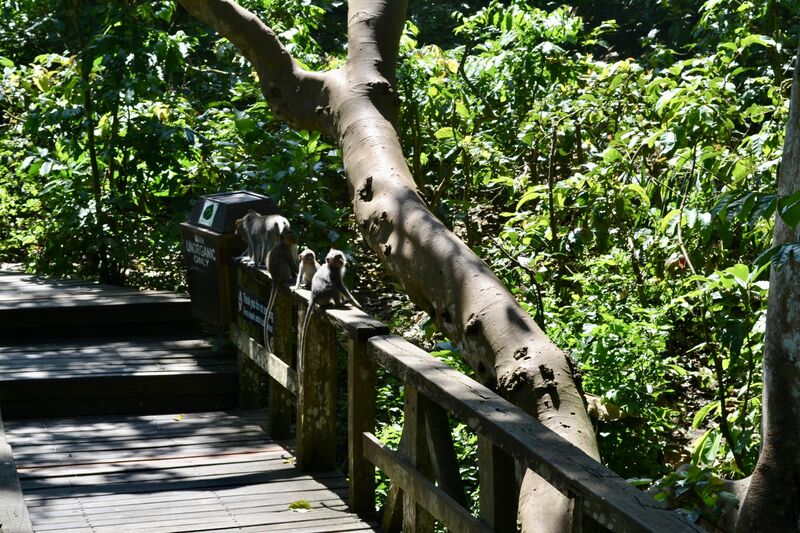 We brought our tickets and walked into the dense jungle, and there before our eyes were tonnes of monkeys! running around playing, attempting to steal people’s bags ;). It was a magical, magical place. I’m pretty terrified of monkeys (lol no joke) and you have to be mindful with these little guys – they don’t like you making eye contact with them and are particularly prone to a vicious outburst when they’re carrying babies (which can be hard to see, because the babies are carried underneath them!). The forest itself is beautiful, and takes a couple of hours to walk around. 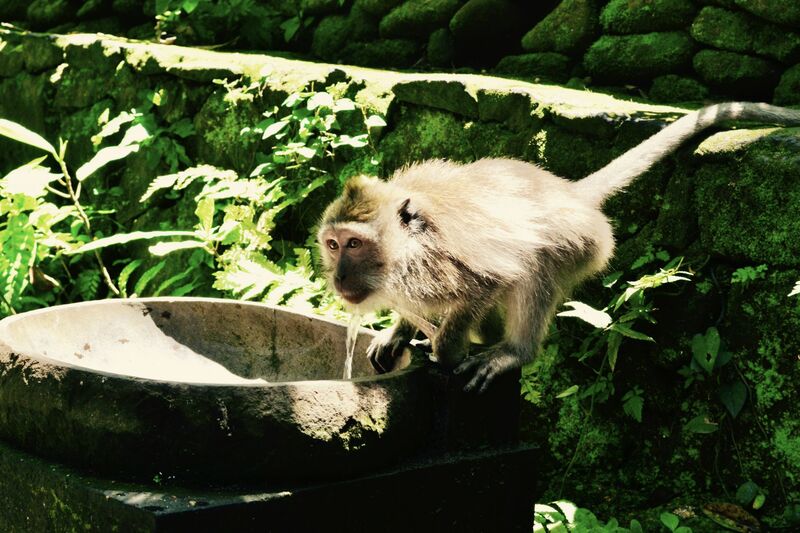 I hope you enjoy this little photo diary of Sacred Monkey Forest Ubud – I highly, highly recommend it if you go to Bali. I can’t describe why, just take my word for it that you can feel the magic from the moment you step foot in there. Look closely, they’ve got a teeny baby with them! Nice post and pics, made me visit Indonesia atleast once. What beautiful photos!!! You’ve captured the playfulness and character of them so well! You should definitely get these printed, they’d look amazing as big prints hung up around your home! 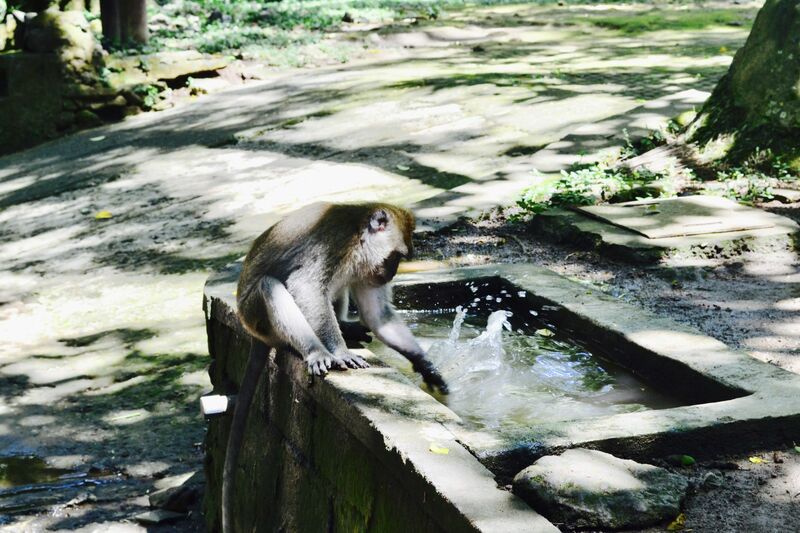 I remember when I was in Kuala Lumpur, we went to visit a temple and there were monkeys EVERYWHERE, and one took a bit of a shine to me, and wouldn’t let me pass him on the steps, it was terrifying as I thought he was going to pounce! 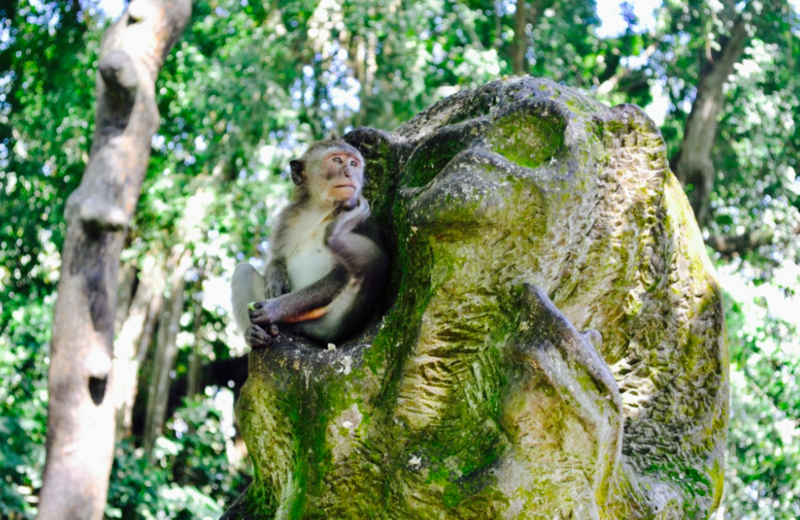 Monkey Forest sounds like a really special place to visit! I thought of you when I posted this as it made me think of your monkey pics (and Sam and his love of monkeys!). Hahaha it must have clocked you were such a kind soul lovely! Either that or it wanted some of your food! Monkey forest is amazing, but I did find myself a bit on edge, and Legs pretty much got mugged by a monkey! ha! Oh no, those so-called ‘animal rehabilitation’ places in Bali sound absolutely horrible, those poor creatures! It’s wonderful to see a place that you’re able to go and interact with the animals the right way, where they can come and go as they please! I had no idea that monkeys don’t like you to make eye contact, I’ve learned something new today! 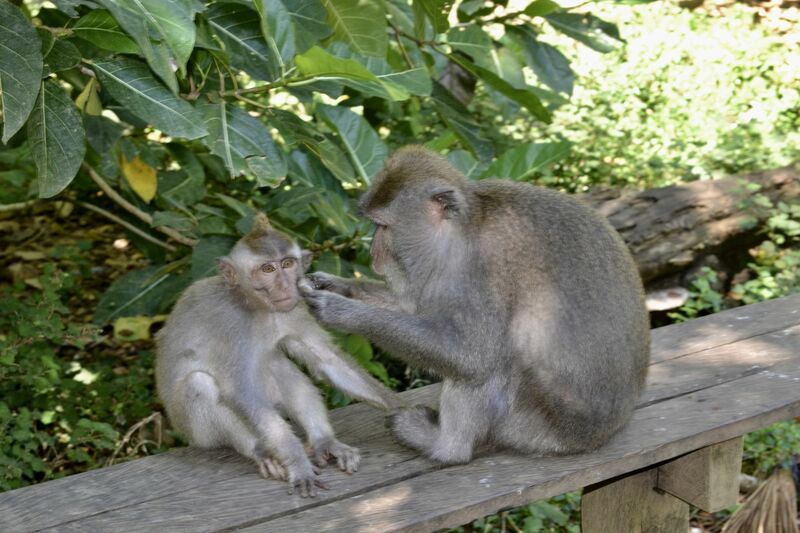 Your photographs are absolutely incredible and they really show off the monkeys’ cheeky personalities, I especially like the one at the end where the very relaxed chappy is being groomed by his friend! I’m not surprised that you fell in love with this place despite your fear of monkeys! I know, they’re so sad and they’re so well disguised as well, it’s so easy to unwittingly go to one thinking it’s a kind place! Monkey Forest is lovely though because you know the animals can come and go as they please which is nice and reassuring. Hahaha apparently this type of monkey take it as a threat, I felt like I was in a weird game of “OMG MUST LOOK AWAY IMMEDIATELY” 😂. Thank you for your sweet comments about my photos, I love the relaxed two at the end, they were just luxuriating in the sun, couldn’t resist snapping them! The monkeys look so playful but I know that they can be dangerous, makes it tricky if you can’t see the babies under them too. I’m happy to watch them through glass, the safer option! I also dislike those animal rehab places – so cruel. 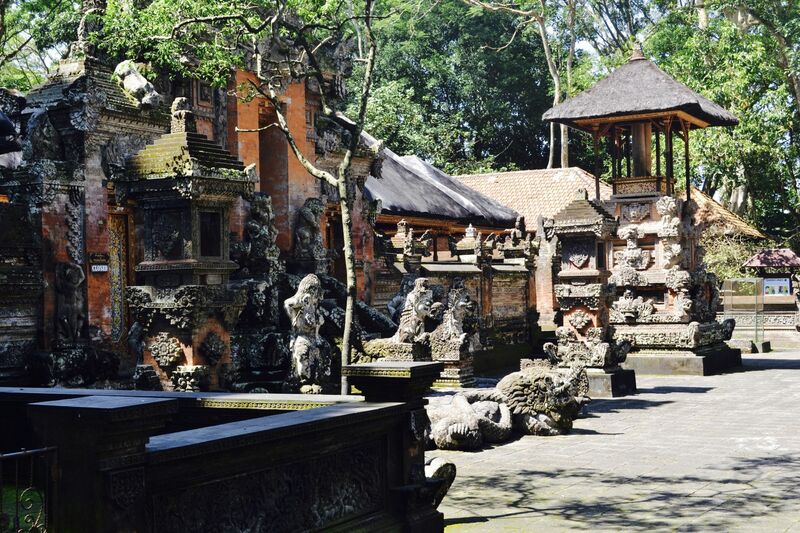 Thank you so much Kat – Bali is lovely and a perfect holiday destination! Omg your photos are adoreable! This sounds like a great place for the animals and wow I do didn’t know these facts! Ah this is has really got my jealous and want to travel there right now! Aww than you for your nice comments about my photos, I’m so pleased you enjoyed this travel post! I love the idea of this rather than going to a zoo or somewhere. So much better! I definitely want to go somewhere like this is the future but I reckon I’d be pretty scared wandering around haha! Hahah I was a bit scared, I’m such a Wally! People brought food to feed them from little vendors but there was no way I wanted one climbing on me! It is lovely as they really are free to come and go. I actually forgot to mention they do rehabilitate monkeys here – they have a blind monkey who can’t be in the wild as such who lives in the forest and is looked after which is lovely. This looms so amazing!!! Your pictures came out stunning, I love travel pictures and blog posts so much. Aw thank you so much Kris! Oh wow, this looks absolutely incredible! I’m always so envious of your travels, your posts make me want to pack my bags and head to the airport every time! 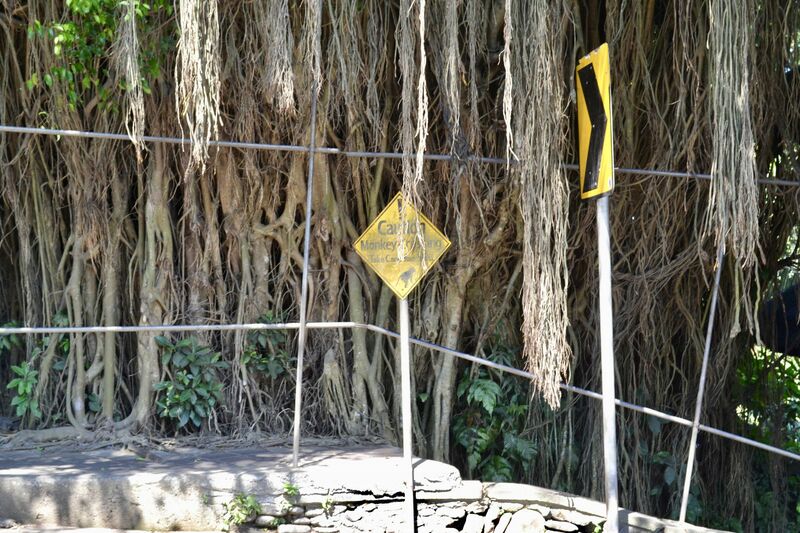 I don’t know if I would be a little scared walking through all the monkeys though. It would definitely be a surreal experience! Thank you lovely! I was totally scared but my bestie has a great sense of adventure and always encourages me to do it which really helps. It was totally surreal but utterly magical. It’s absolutely beautiful there Kayleigh! Ahh I loved reading your travel posts on Indonesia, I forgot all about them! Still so jealous, I need to go! What gorgeous photos Kate, they’re beautiful! My boyfriend and I plan to travel when I graduate university in 2019 and I’m 100% going to put this destination on my places to go list. Omg wow! 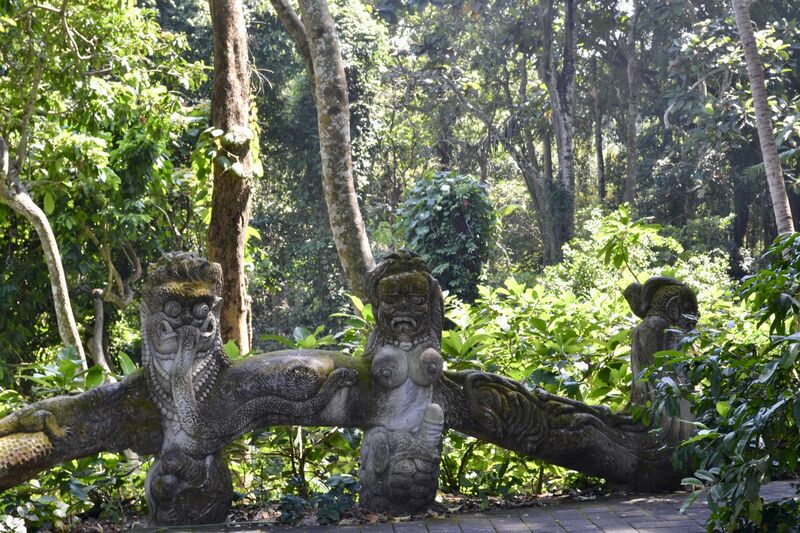 The sacred monkey forest sounds so cool! Must be amazing yet slightly terrifying having them in such close proximity haha. These photos are incredible!